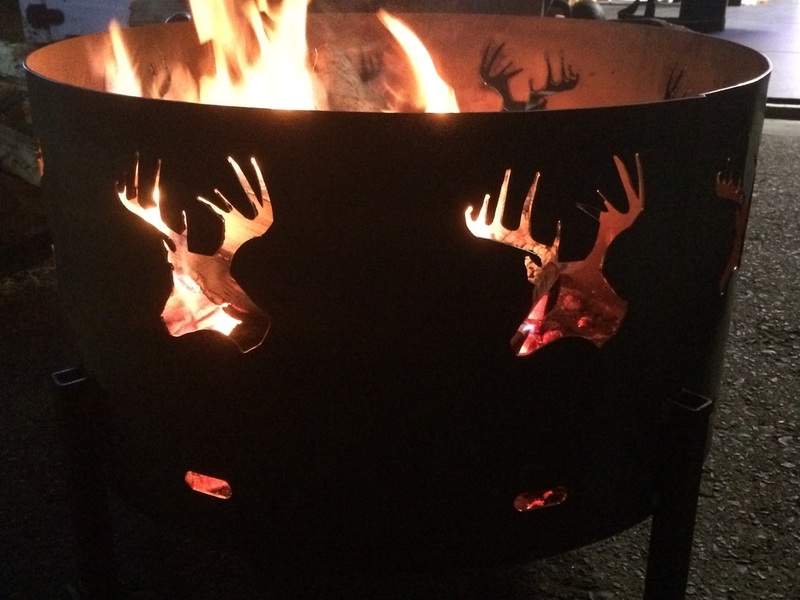 We build firepits the American way...designed to last forever. 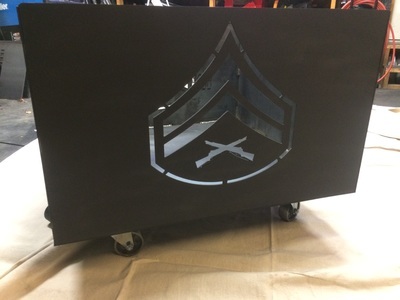 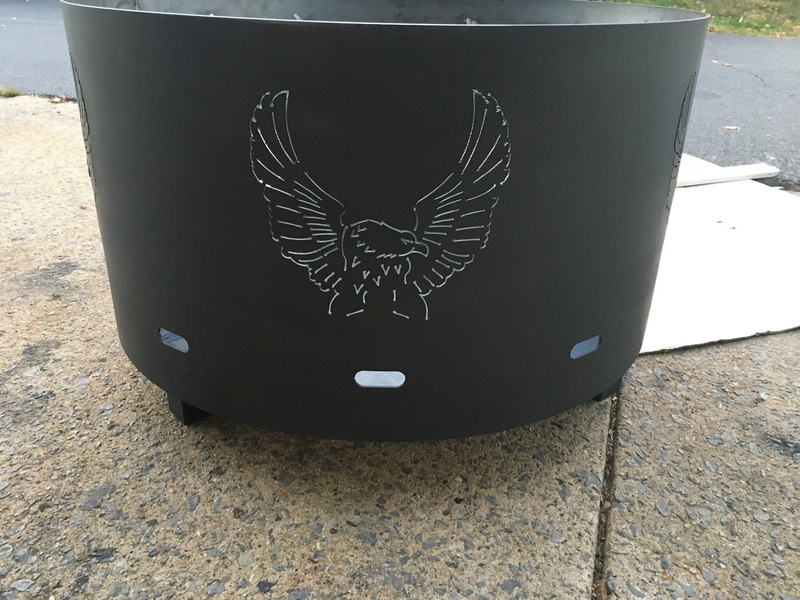 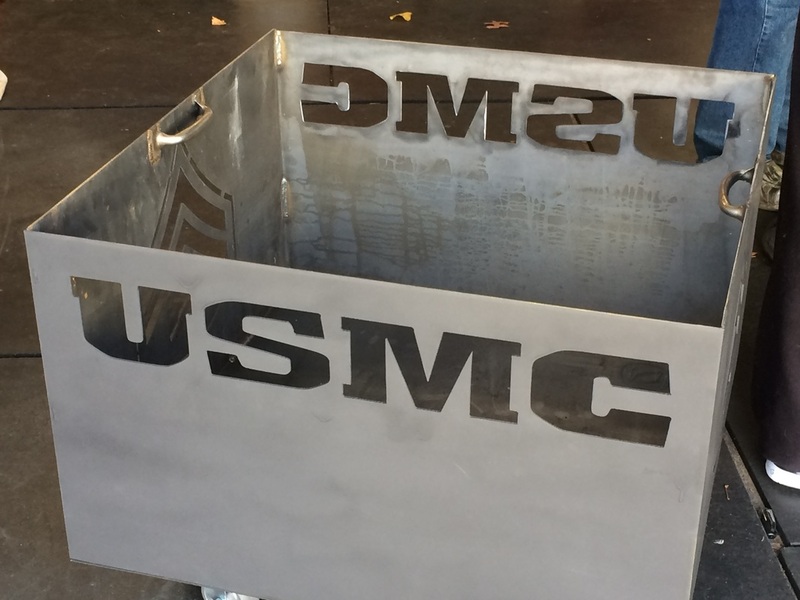 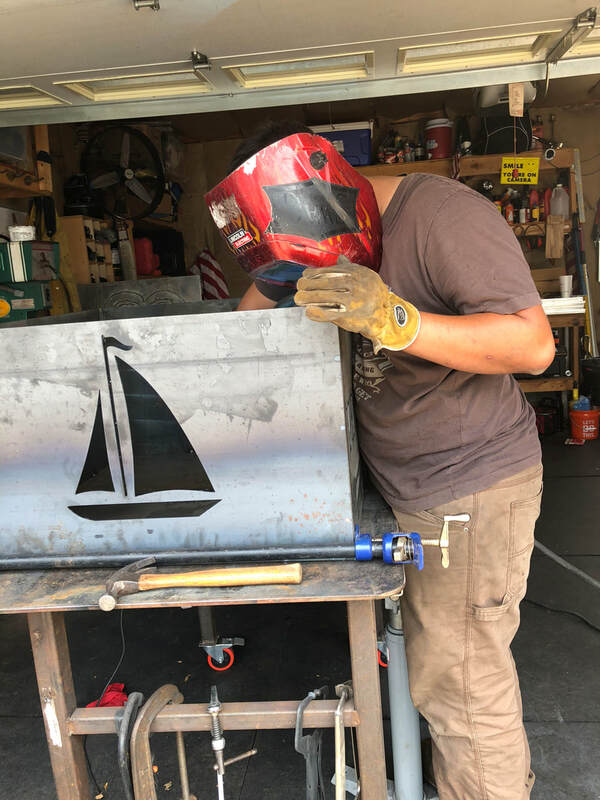 All of our firepits are made of heavy duty 1/8th inch steel so that they can last a liftetime. 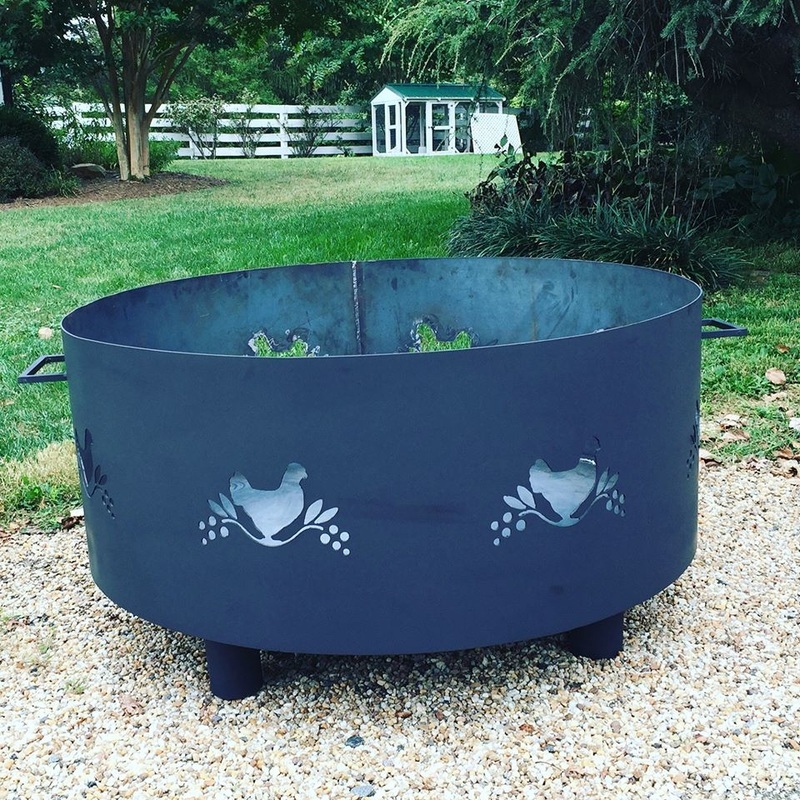 It all started after we broke our third firepit that we had purchased from big-box stores. 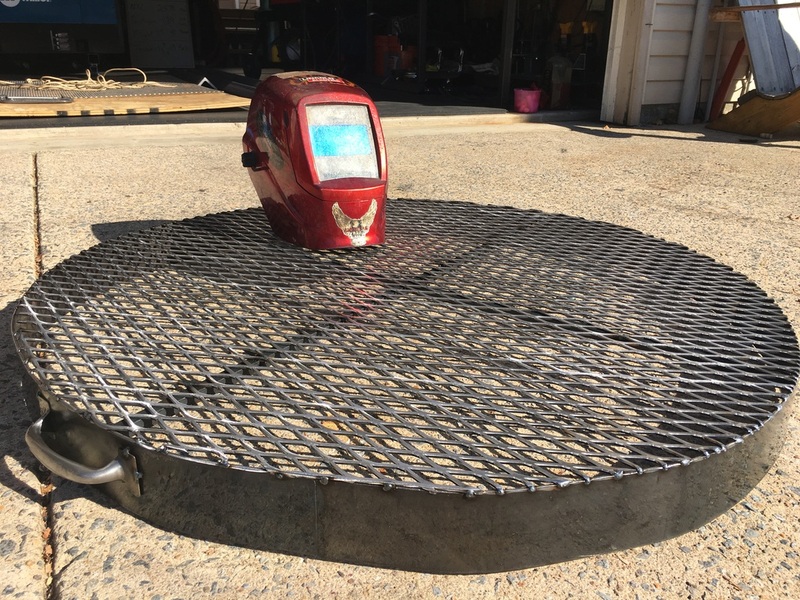 Tired of buying cheap thin sheet-metal that was warping, burning holes through, and not to mention too small for having a large fire, we set out to build a firepit that not only would last but, would also look cool. 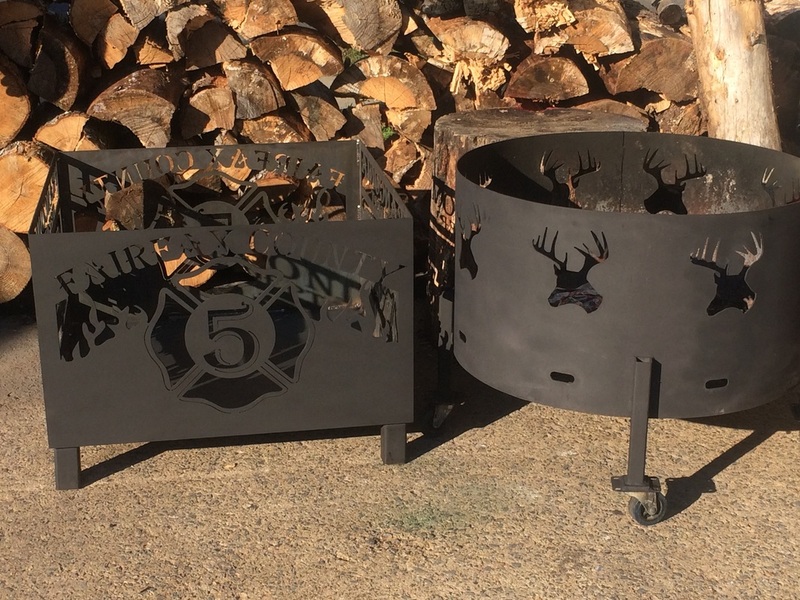 Our custom firepits are an excellent gift idea, especially for people who already have everything. 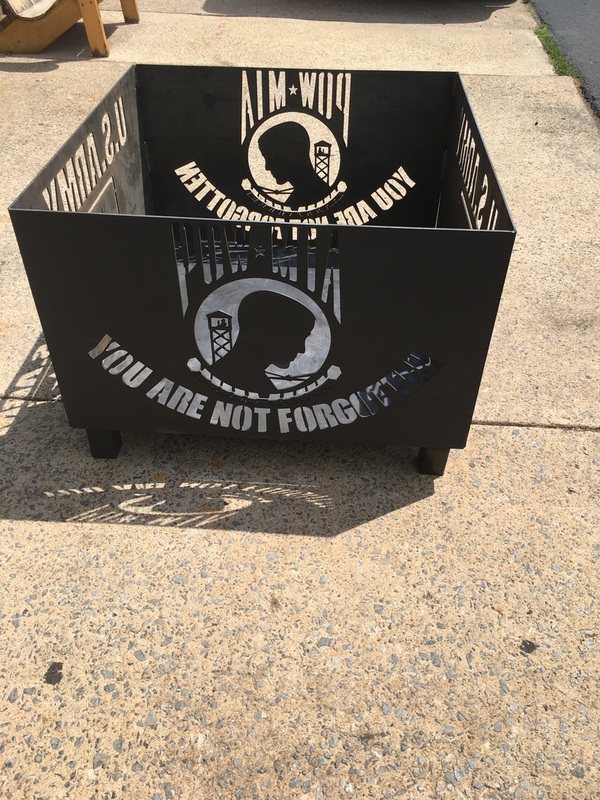 Our customers have given our firepits as a gift for fathers day, birthdays, retirement parties, etc. 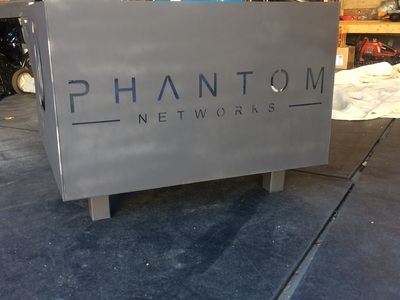 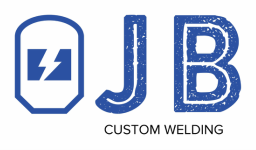 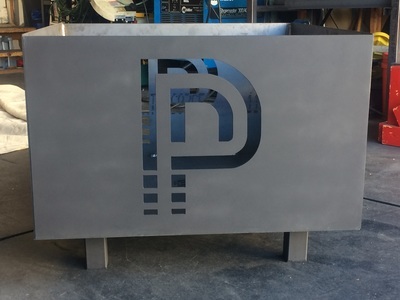 Imagine having your families name, company logo, or something meaningful to you made just the way you like it. 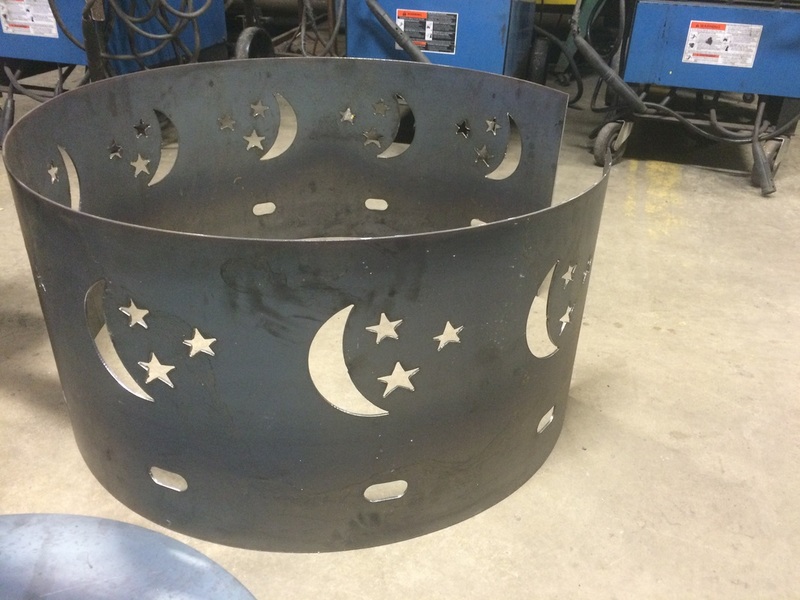 We work hard to develop attractive designs that can be cut into our firepits. 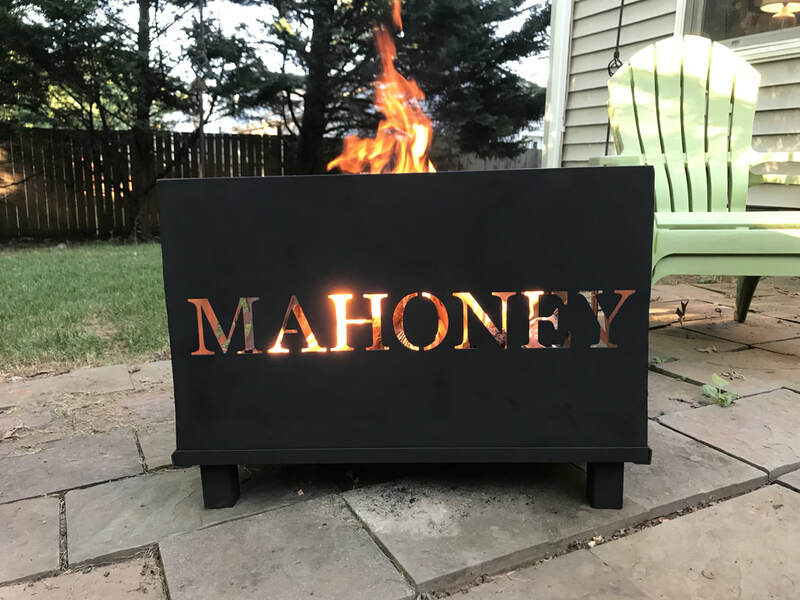 We have many great existing designs to choose from as well we can work with you to come up with new and unique designs to make your perfect custom firepit. 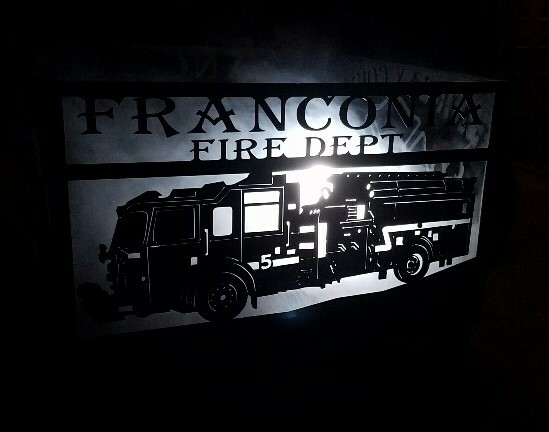 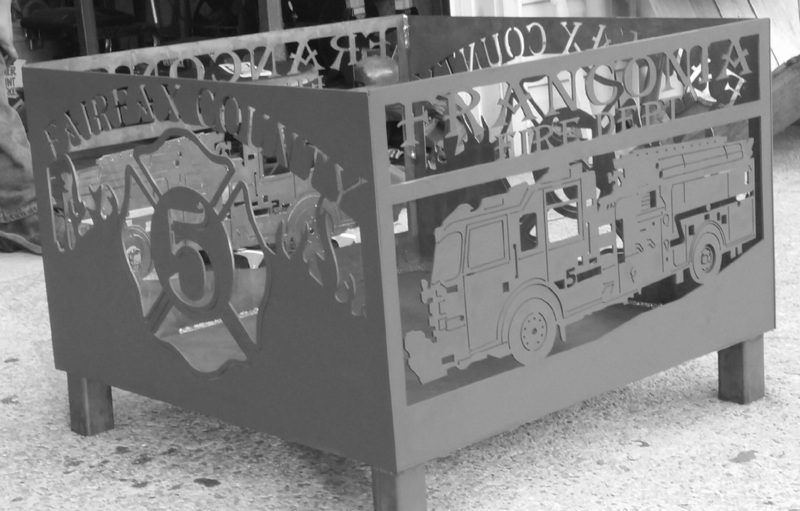 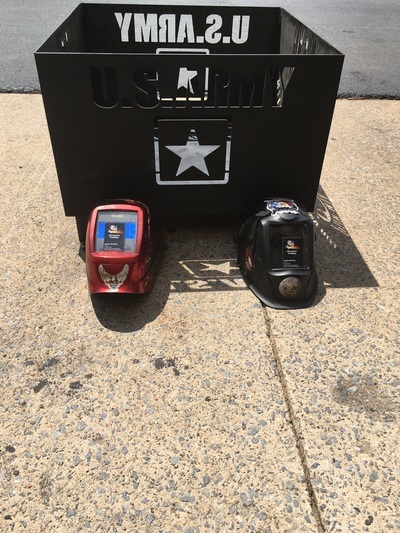 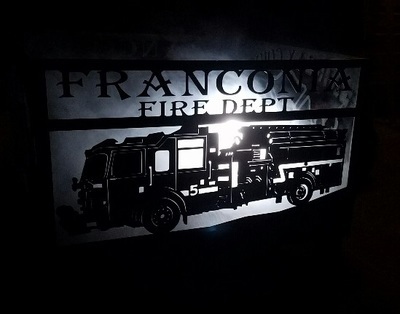 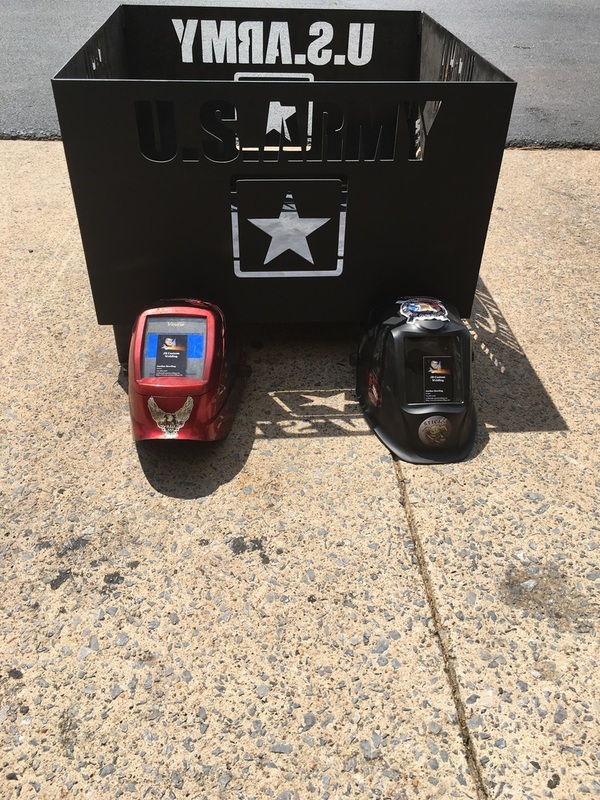 Our Fireboxes are similar to our Fire rings with the difference being the boxes are square and are used for a single larger image cut into the side, This allows for a more detailed image. 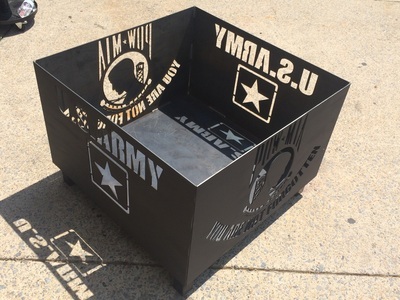 We can put a different image on each side of the box or do the same image on each side.